And I’m excited to welcome Cynthia Morris as our latest 5 Questions interviewee! 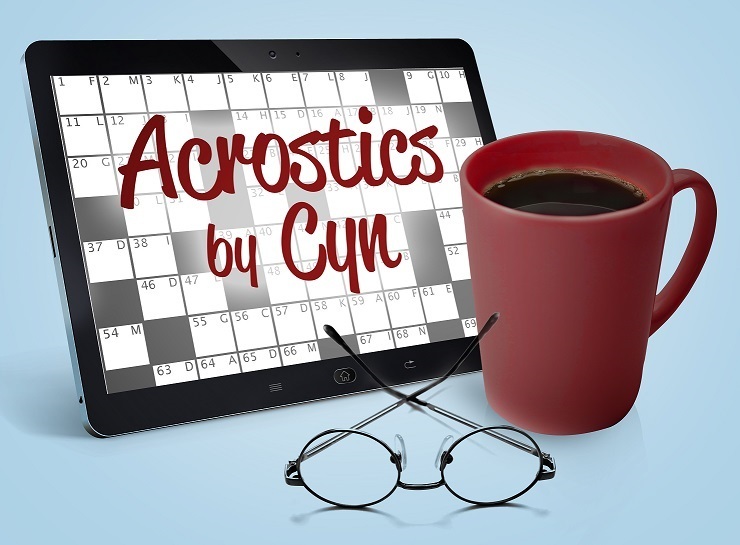 An author, editor, and puzzler, Cynthia is the mastermind behind Acrostics by Cyn, her online acrostic puzzle empire. 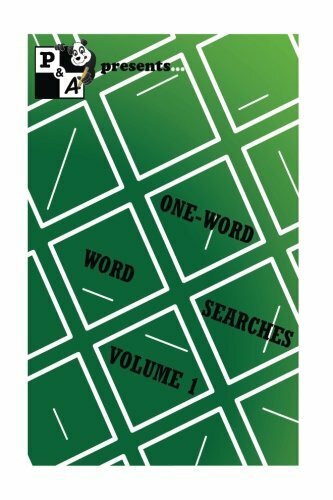 Her brand is soon expanding to eight puzzle-book titles that mix crossword-esque cluing with intriguing themes and quotation-style content. Cynthia was gracious enough to take some time out to talk to us, so without further ado, let’s get to the interview! 1. How did you get started with puzzles? 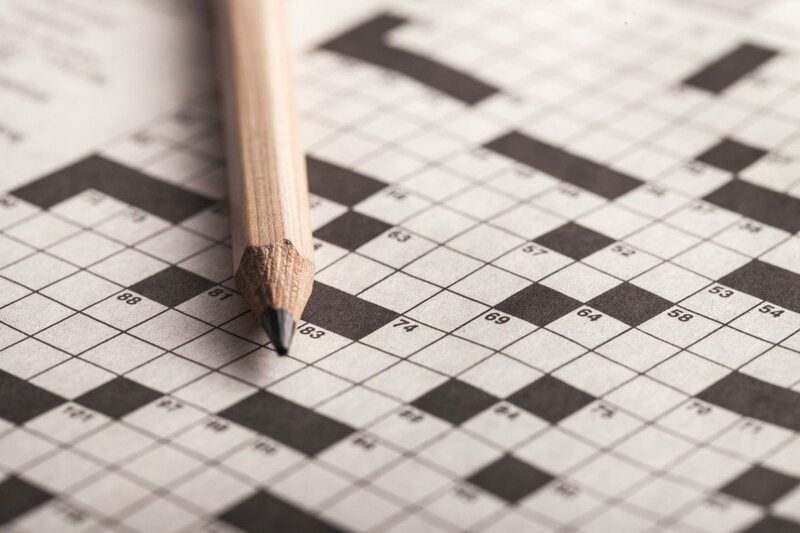 What drew you to acrostic puzzles more than other styles, like crosswords, word seeks, or encrypted puzzles? I got started at a really early age, thanks to my mom. She was a former schoolteacher who knew how important it is to exercise our brains every day, so one year during summer break from school — I think I was 8 years old — she offered to pay me $10 for every book of puzzles I completed, cover-to-cover, without peeking at the answers in the back. 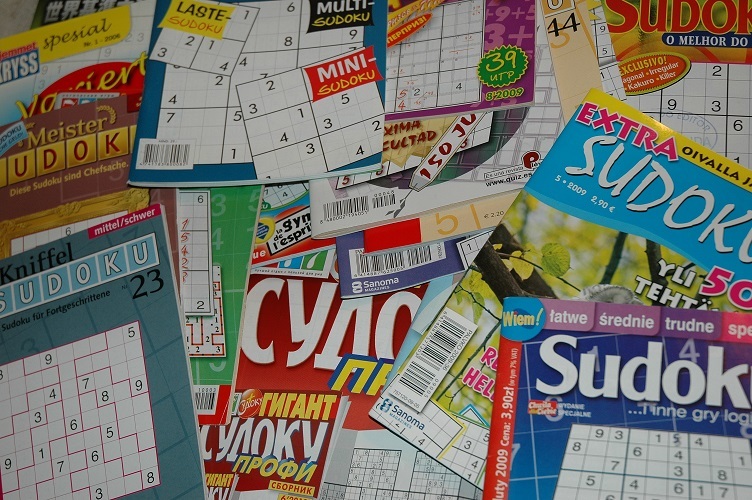 I chose variety puzzle books — I’m pretty sure they were the Dell puzzle magazines that were sold at the grocery stores. I thought they looked like the most fun. I had never even heard of acrostic puzzles at the time, but as soon as I discovered them, I was hooked. I had always loved books and also loved to write, so the combination of quotations from books and crossword-style clues was completely irresistible to me. 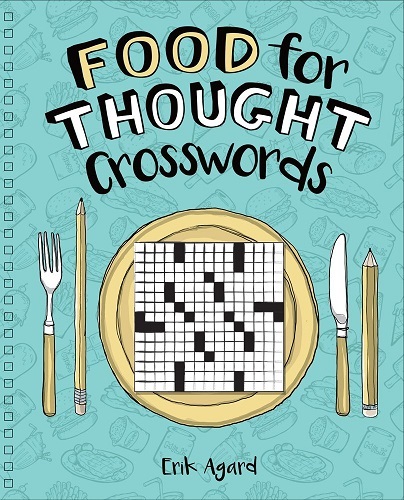 Plus I loved that acrostic puzzles are a bit like solving a mystery, because the clues lead you to a fun or funny quote at the end, instead of just a grid filled with words. I remember that I would solve the acrostic puzzles in the variety books first, and then race through the rest of the puzzles as quickly as possible so my mom would buy me another volume and I’d have more acrostic puzzles to solve. We ended the $10-per-book deal when summer was over, but I was totally addicted to acrostics by then, and kept solving. It turned out to be a lifelong addiction. 2. What, in your estimation, makes for a great puzzle? What do you most enjoy — or try hardest to avoid — when constructing your own? I love themed puzzles — and I especially love when a puzzle is “slyly themed,” so that when you finish the puzzle, you realize that far more clues/answers pertain to the quotation solution than you knew when you were solving it. I love learning something new, whether it’s from the clues and answers, or from the quotation solution. I love clever or funny clues, as well as those that have a bit of misdirection thrown in. I love a good quotation solution. 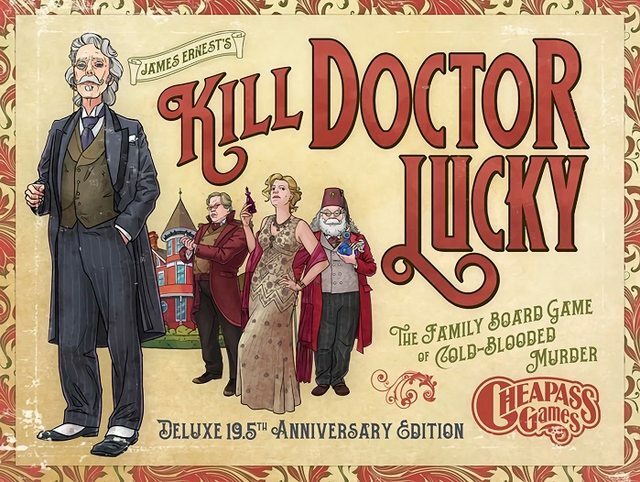 And I love punny, groan-worthy puzzle titles — which is something I’ve picked up from my husband, Bryan. I write all of my puzzle titles with him in mind, and if I get a chuckle out of him I know I’m on the right track. My favorite part of constructing? I don’t think I can answer that one, because I enjoy every aspect of it. I love selecting the quotations, although this often takes way longer than it should because I’ll open a book with the intention of skimming it for a good quote, and end up reading the whole thing! I love deconstructing the quotation solution into a word list, which is just as much fun as solving a puzzle. And I love writing the clues, especially trying to come up with clever clues that will make my solvers laugh. I avoid dictionary definition clues as much as possible. I include a few in each puzzle as “gimmes,” because otherwise it can be difficult to get a toehold on a puzzle, but they’re not my favorites — I like to be more creative than that when it comes to clues. And I make a conscious effort not to copy any other constructor’s style — I’ve worked hard to develop my own signature style. 3. 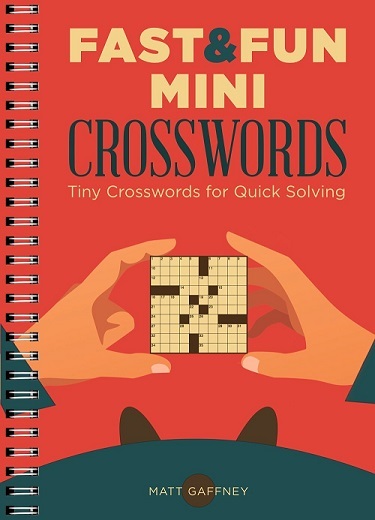 You have acrostic books for younger solvers and older solvers. What’s more challenging: creating an engaging puzzle for a younger solver or creating a truly difficult but fair puzzle for an established solver? You’d think my AnimaCrostics series, which are easy, animal-themed puzzles for kids and new acrostic solvers, would be the easiest to construct, but this isn’t the case. They’re just as difficult to create as my challenging puzzles for adults. Technically, I’m much more limited when it comes to which words I can use as answers, because I have to be sure they’re words that are in children’s vocabularies. Then again, one of my goals is to help kids expand their vocabularies, so I like to include a few words in each puzzle that may be a bit of a stretch for them at first. It’s a difficult balancing act, so I put a great deal of effort into every one of those short, easy puzzles. Creatively speaking, AnimaCrostics are also a bit of a challenge, but a fun one. When I was first constructing them I had about 75 kids at a local elementary school for testers, and one thing was clear: Kids like gross stuff. They love learning about things like vulture vomit and hippo poop and fish farts. The puzzles with these types of quotation solutions were the biggest hits, and the puzzles that kept the kids coming back for more. So I try to include as many of them as I can in each book, along with other fun animal facts. I originally called this series Kids’ Krostics, but it turned out that many adults who were new to acrostic puzzles were enjoying them as well, and even snagging the books from their kids when they weren’t in use. So I renamed this series AnimaCrostics to make it clear that these puzzles are fun for everyone, not just kids. My two other series, American Acrostics and CynAcrostics, are equally difficult to construct, but for different reasons. Each volume of American Acrostics tells a story — the history of the United States (Volume 1), the story of American inventors (Volume 2), tales about our presidents and first ladies (Volume 3), and fun facts about each state (Volume 4, forthcoming). Finding the specific quotations I need for these volumes can be challenging. But I love that sort of challenge, which involves bringing about 80 library books home at a time, because I get to read so many wonderful books while searching for quotations. Choosing quotations for CynAcrostics is a bit easier, because I keep a running file of quotes I come across in books I’m reading. For example, I already have all my quotations for CynAcrostics Volume 3: You Don’t Say? selected, and I haven’t even started constructing those puzzles yet! I’m a rabid reader, and I have very eclectic tastes, so the CynAcrostics are a fun way to share quotations from the wide range of books I read. 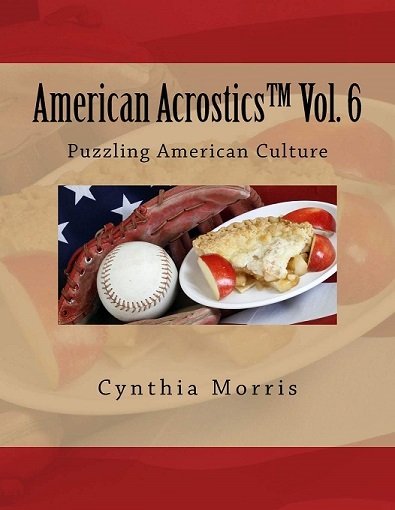 Both my American Acrostics and CynAcrostics series include themed puzzles — some volumes more than others. 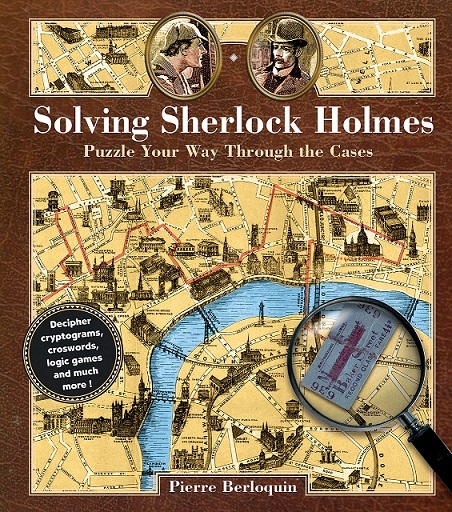 Themed puzzles are more challenging to construct than your average acrostic puzzle, because the goal is to include as many clues/answers related to the theme of the quotation solution as possible, but to clue them in such a way that the theme isn’t too obvious, which would make the puzzle too easy. Overall, I think finding the right difficulty level — whether the puzzles are geared for adults or kids — is one of the hardest parts of the construction process. 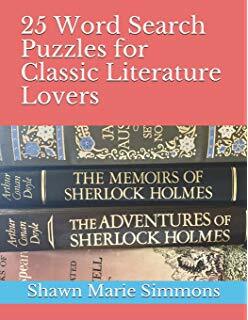 I try to include a mix of easy, medium, and difficult puzzles in each volume, but of course a puzzle that’s easy for one person may be difficult for another. Over the years, I’ve come to realize that it’s impossible to please all of the solvers all of the time, so I just focus on constructing the best puzzles I can, and hope my solvers enjoy them. 4. What’s next for Cynthia Morris? 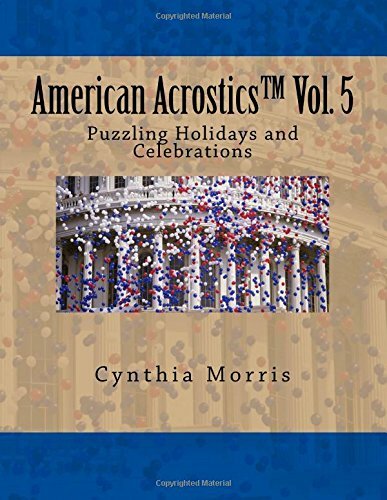 On the puzzle front, I’m finishing up my eighth volume of puzzles, American Acrostics Volume 4: The Puzzling States of the Union. This may be my favorite volume yet. I’ve managed to find really great, quirky quotation solutions, and because the puzzles are themed, I’ve learned a lot of fun trivia about each state. I’m really looking forward to sharing this volume, and hope to have it available in time for the holidays. As an author/editor of nonfiction books, I also have exciting news. My book, Micronesian Blues (co-authored with my husband, Bryan Vila) is in development with actor Patrick Dempsey’s production company (Shifting Gears) and Cinemax. A Cinemax original TV series based on the book is in the works, and I hope to have more information about this project to share soon. I also continue to work as an editor, and I have several other books in progress, so I certainly can’t say I’m ever bored. I view acrostic puzzle construction as an art, and my goal with each puzzle I construct is to hone my craft. For readers, this may provide some insight into how much of ourselves we constructors put into each acrostic puzzle. For my fellow puzzle writers, I’m sure you can relate to this. For puzzle fans, this means that your feedback is invaluable to me. And for aspiring constructors, this means that no matter how many acrostic puzzles you’ve solved, it takes more time than you might imagine to become good at constructing, so be prepared for that. I’ve been constructing for 11 years now and I’m still learning to be a better constructor all the time, as both my skills and my understanding of what constitutes a good puzzle evolve. A huge thank you to Cynthia for her time. You can check out all the acrostic offerings from her on her website here, and be sure to follow her on Twitter for the latest updates and puzzles!